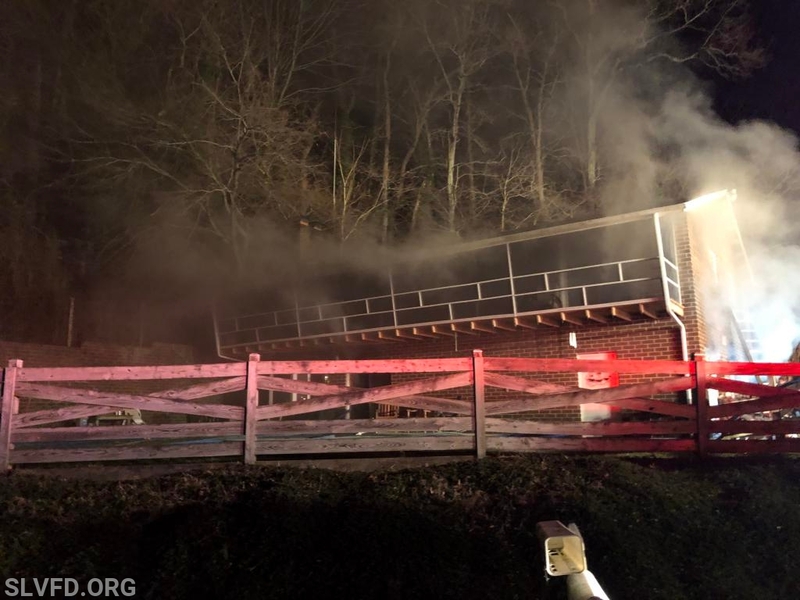 Just after 2200 hours Engine 71, Rescue Squad 7, Tanker 7 and Ambulance 77 took in the first due reported house fire in the 1400 block of Holly Circle 7-04 box. 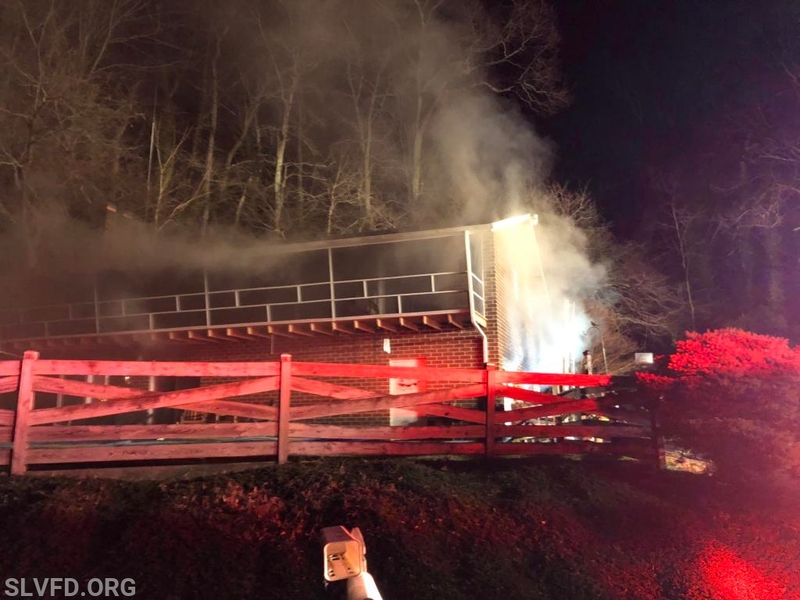 Calvert Control Center dispatchers asvised of a possiblegarage fire with smoke throughout the house, with 1 dog and 1 cat unaccounted for. 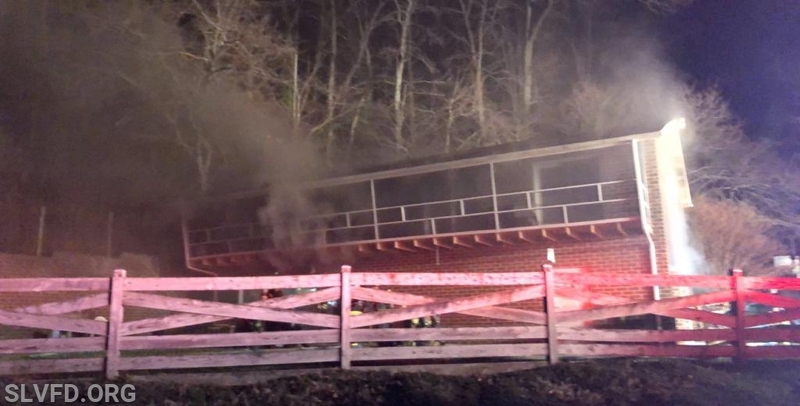 Engine 71 dropped a split lay at the corner of Lilac Circle and South Harbor, then arrived to find a 2-story single family wood-frame with smoke showing. 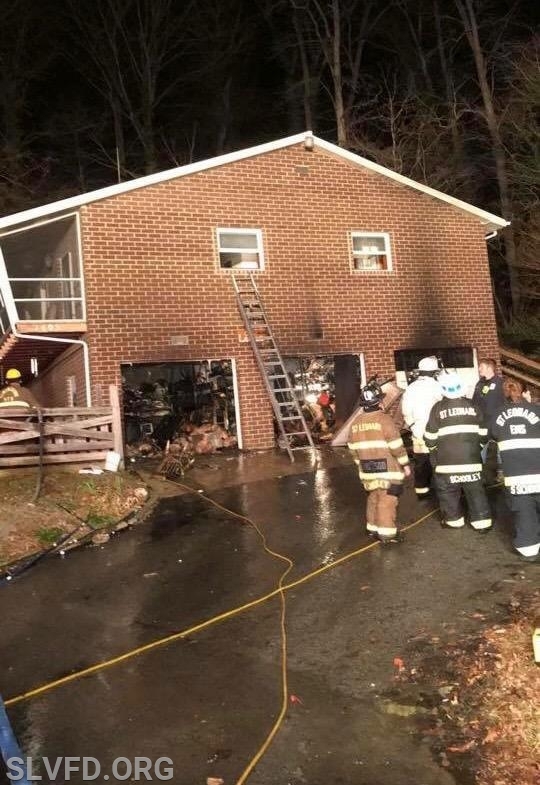 Captain 7 (B. Cunningham) established the command as 71 stretched a 1-3/4 200’ line through the side door and into the garage to knock the bulk of the fire. Squad 7 arrived and cut all 3 garage doors off the house. Engine 21 secured the water supply and advanced an attack like to division 2 to check for extension. The dog was found and care was transferred to Ambulance 77, after some high quality O2 he was up and moving. Unfortunately the cat did not make it, animal control handled that for the homeowners.